The Government will hire counsel and pay legal costs to military personnel who may face charges of war crimes. The assurance has been given to military officers by Minister Patali Champika Ranawaka. 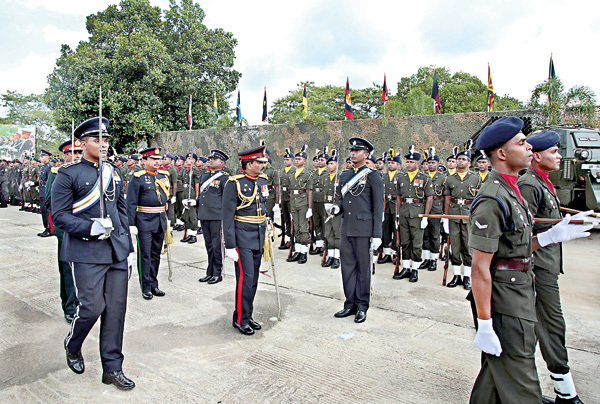 He has been tasked by President Maithripala Sirisena and Prime Minister Ranil Wickremesinghe to speak to officers and men of the armed forces on the findings in the OISL report. During different meetings, Minister Ranawaka has explained the various recommendations and the Government’s position vis-à-vis them. The prospects of officers or other ranks in the armed forces facing charges of war crimes appeared minimal in the light of mechanisms the Government is putting in place. Foreign Minister Mangala Samaraweera told the Sunday Times that those facing accusations would be able to make confessions to the Truth and Reconciliation Commission. Such a case would come up before the Compassionate Council of eminent religious leaders who can recommend a pardon, he said. these consultations by January next year. He insisted that this was not a “hybrid” mechanism. “To make it credible we need the help of foreign experts,” he said. However, it would be the Special Counsel who will finally decide on the course of action. Such a special counsel or prosecutor, the Sunday Times learns, will function in a proposed High Court for War Crimes.